58 people dead. Over 500 injured. And now, victims are getting sued. The tragic story of the worst mass shooting in American history has been void of information, wrapped in conspiracy, and now the latest development is an absolute jaw dropper: MGM, parent company of Mandalay Bay, will sue the 1000+ victims named in suits against them. I’m certainly no legal expert, and you can read an analysis on the New York Times here, but the long and short of the maneuver is to utilize a federal law known as the “Support Antiterrorism by Fostering Effective Technologies, or Safety, Act,” to absolve itself of liability and get any lawsuit thrown out. Arguably, MGM is facing an existential crisis, and focusing on one particular law as a way out. The law was written to protect certified manufacturers of security equipment, or those who provide security services, if they’re unable to prevent a terrorist attack. I was surprised to discover that the 2nd condition, declaration of an “act of terrorism,” is something that hasn’t been publicly declared by the DHS. But, apparently, that is the case. Sadly, closure for victims and their families won’t be anytime soon. 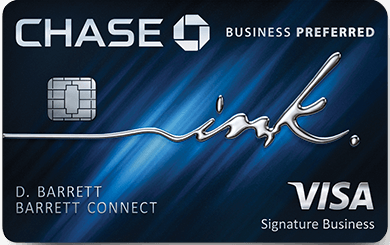 Next Article Hyatt announces 10% off award stays for its credit card holders. We (People who live in America) live in a country of laws and a country that has a justice system that is constantly being asked to interpret those laws. Outrage is fine, and shows you’re human, but the envelope continues to be pushed. If MGM thinks they qualify, let the courts decide. People thought ACA was unconstitutional. It isn’t. People thought the travel ban was unconstitutional. It isn’t. People being forced to pay health care and Muslims be damned.